CR200X-series dataloggers are the smallest, lowest-cost data loggers that Campbell Scientific offers. These data loggers have an input channel configuration and small size that make them suitable for measuring one or two simple sensors. Some of these data loggers have an internal spread-spectrum radio, which is used for wireless data transmission. 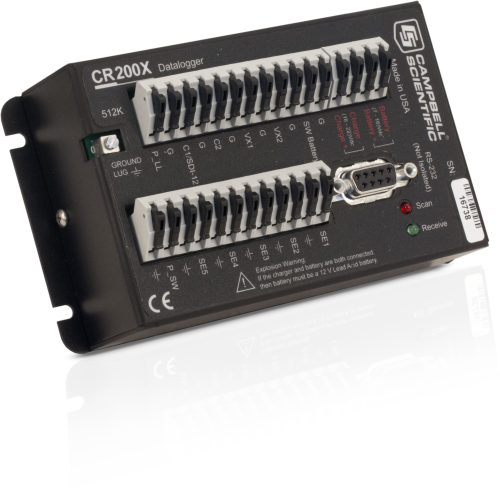 The CR200X-series dataloggers are not compatible with multiplexers, SDM devices, or thermocouples.